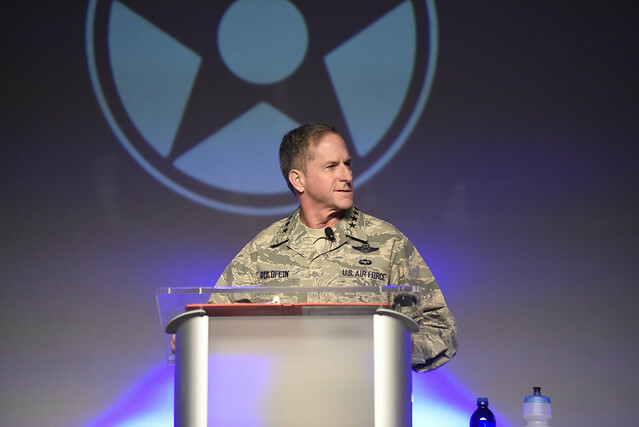 AFA's Air Warfare Symposium is a premier event for the aerospace and defense industry geared toward the professional development of Air Force officers, enlisted members, civilians, retirees, and veterans. The annual symposium brings together the top leadership of the Air Force as well as academics, leaders in industry, and government officials to discuss issues and challenges facing our Air Force and the aerospace community today and in the future. The Air Force is looking for industry to bring their most innovative and cutting-edge products and technology to the symposium to support maintaining and enhancing U.S. air superiority. Exhibiting provides a great platform to bring Air Force decision makers and industry together in order to meet this goal. The Air Warfare Symposium will boast more than 27,000 square feet of space with more than 50 companies showcasing the latest technologies and innovations in air warfare capabilities. Over the course of this three-day event, the exhibition schedule will provide more than 12 hours of exhibit time, 48% of which are non-compete hours. There will also be a welcome reception and outdoor BBQ for exhibitors and Air Force leaders to network and exchange ideas. The exhibit hall will host breakfasts, lunches, and dessert and coffee breaks to provide even more opportunity to interact with attendees. Exhibiting provides companies with exceptional networking opportunities and a platform to showcase your products to key decision makers within the Air Force. By exhibiting, you will not only have access to Air Force leadership but also to top defense contractors from the U.S. and around the world. AWS 2019 Exhibitor Contract - Book your booth today! AWS 2019 Exhibitor Floor Plan - See companies that have already signed up and their locations. AWS 2019 Exhibitor Services Kit - Full logistical details on exhibiting at AWS to include Freeman store, show products and services, shipping and more! Have questions about your booth? Booth space includes up to four exhibitor badges per 100 square feet of booth space purchased. The exhibitor badge entitles you to take part in all of the food functions in the exhibit hall which include two hosted receptions, as well as lunch on Thursday and the continental breakfast on Friday. Please note: All exhibitors and sponsors must be AFA Corporate Members in good standing. Corporate Members will also receive one full conference registration with their booth space purchase, as a benefit of Corporate Membership. We want all our industry partners to be actively engaged with AFA members throughout the year which is why Corporate Membership is required for eligibility to exhibit or sponsor at the Air Warfare Symposium. Corporate Membership provides numerous opportunities to bring your products, services, thought leadership, and programs to the attention of Air Force decision makers and helps AFA continue its mission of promoting a dominant United States Air Force. Become a Corporate Member today! Visit here for more details. Thank you to our 2018 AWS Sponsors! For more information on exhibiting at our Air Warfare Symposium please contact Ron Bates, NTP (National Trade Productions) at 703-706-8230 or rbates@ntpevents.com. For information on sponsorships including the Backyard BBQ, please contact Perry Currier, Manager of Corporate Relations, at pcurrier@afa.org or call 703-247-5838. For more information about our Corporate Membership Programs or other AFA sponsorship opportunities, please contact Fred Ullman, Director of Corporate Relations, at fullman@afa.org or 703-247-5842.